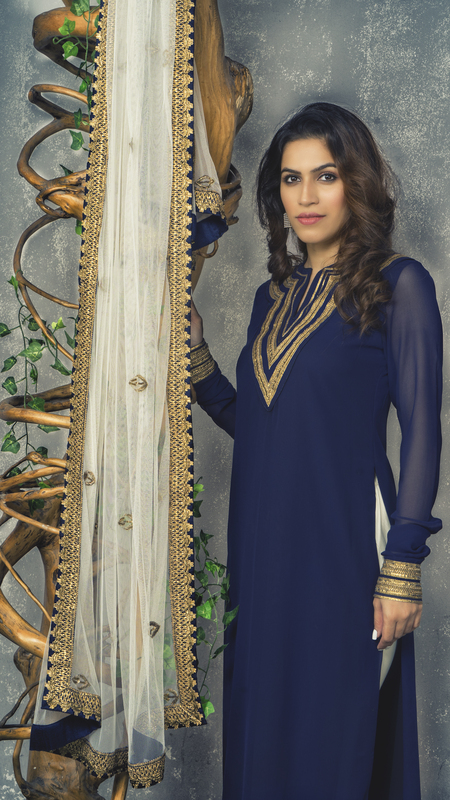 Add delight to your festivities as you don this navy blue-white churidar-kurta-dupatta set. 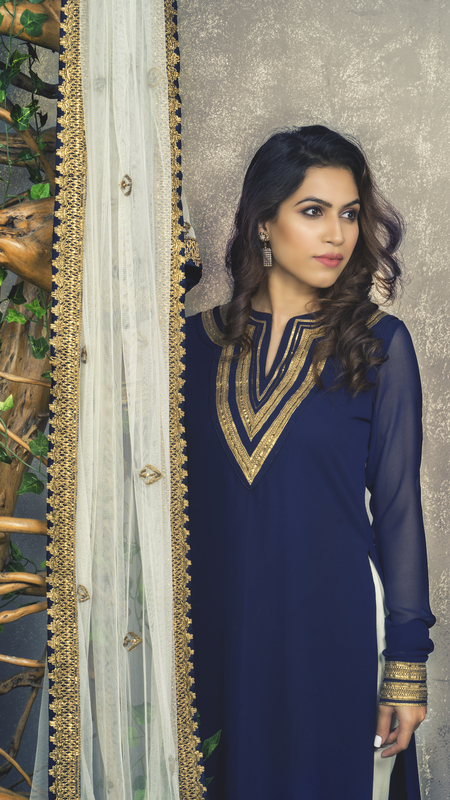 Cut in pure crepe fabric, it features alluring gota borders on the neckline and churidar sleeves. The contrast white dupatta enhanced with similar gota borders and zardosi embellished butties adds to the garce. It is teamed up with contrast white churidar bottoms.